Okay, I know that once mentioning to this topic, there might be a lot of people will have such wondering. And I used to be in that group, too! However, truth to say, not all of us will actually need this product at all. 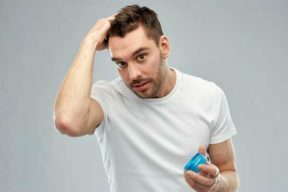 So, in this article, apart from my top favorite collection of the best beard shampoo, I’ll drop you some knowledge on who should or shouldn’t try it, along with an ultimate guide on how to use. And on top of that, why should we have them? What are the differences between beard shampoo and others? To be honest, the reason I bought my very first beard oil bottle was to serve for this purpose – find out the difference between it and my hair shampoo. I’m that kind of person, like prefer to discover things by myself to find the answer. But so thankful for that character, I’m now able to tell you what I finally found out. This is the first thing I found out after trying these two products on my beard. Truth to say, the beard shampoo is much softer for both beard and skin. This is because its ingredients don’t contain as much harsh chemicals as a typical shampoo would carry. Think about it for a second! 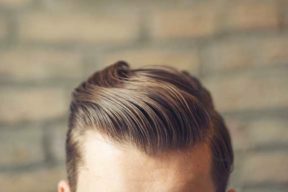 The hair on the top of your head gets greasy much faster than your facial hair. So, a normal shampoo is designed to remove that excess oil, trip it from your hair and head. Meanwhile, a beard oil is much less greasy which means they need a lot less harsh chemical. And if you use something like this, you can keep all moisture in, keep the hair elastic and they will look healthier. The second thing is that regular shampoo dries out your hair much faster. What that causes are beard-ruff which is like dandruff but on your face. The most common signals are it gets super itchy and skin flaky which is gross. And this is the most reason that many people don’t feel like to keep their beard any more – it’s kind of too itchy to handle it anymore. Now, this is where a good boar bristle brush comes in. Get to the hair follicles where all that buildup of excess oil accumulates on your face and is going to hydrate your beard in between washings. Sulfates are synthetic detergents which are often found in shampoos. They are used to stripping your hair of its natural oil. Overtime, using a shampoo that isn’t designed for your beard is going to weaken the roots and therefore, have your hair fall out prematurely. 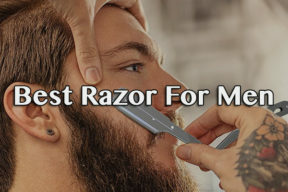 As the result, you will get higher chance of splitting ends on your beard, which nobody wants. Besides, there are many other differences such as texture. While ordinary shampoo comes in slimy texture, the beard one is much more jelly-like, stringy and its consistency is much thicker. Besides is their smell. Beard shampoo arrives in more natural and pleasant smell than the hair shampoo. One thing that I don’t really understand, but I’ve tried this with other kinds of beard and ordinary shampoos. The same result – beard shampoo releases more foam than the others. In conclusion, if you are a beard-man, invest for a high-quality beard shampoo is encouraged. And don’t miss out this collection if you are looking for one. They are all of my favorite that have been tried time to time. Each will come in different fragrance which is really and importantly, specific benefits to your beard. 1. 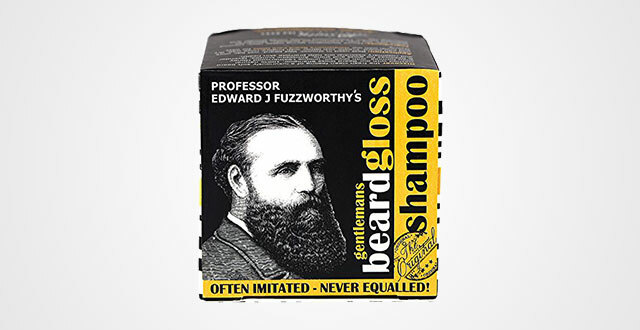 Professor Fuzzworthy’s Beard Shampoo with All-Natural Oils from Tasmania Australia – 125 gm. I always take time to learn about the beard care product carefully before buying. I don’t want to use a bad quality product for my beard. But, the fuzzyworthy’s beard shampoo convinced me completely. This is actually a beard shampoo bar rather than a liquid beard shampoo. This high-quality product is an awesome one which can make your beard softer and healthier. I saw the differences after a few times using it. My beard became smoother and shinier. I no longer have to worry about the redness underneath the beard. This shampoo can make your beard cleaner to protect you from bacteria. It removes dead cells and the itchy feeling. Now, I feel more comfortable to grow the beard. In terms of ingredients, all of them are natural, no chemical such as mount wellington spring water, olive oil, castor oil, leatherwood honey, cocoa powder, kunzea oil, Tasmanian seaweed extract and coconut oil. These ingredients are very beneficial for growing beard healthily and quickly. Because they are from the nature, you will not be allergic. I chose Woodsy scent which is the mixture smell of Eucalyptus and Lavender. This scent is not too strong, and I feel comfortable when applying it. Apart from Woodsy scent, you also can choose the apple cider tonic scent. I think it is worthy to try at least once. Although this product is good at cleaning, I do hope that it can moisturize more to make my beard smoother. Anyway, it is one of the best beard shampoo for Men that work really effectively. 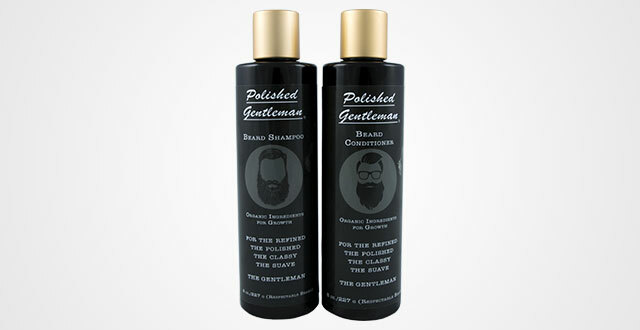 The next product that I think that you may be interested in is Polished Gentleman Beard Shampoo and Beard Conditioner. It is too good to buy this product because you pay one but get two. This is a perfect beard care set, including a beard shampoo and a beard conditioner. This set worked more effectively than I expect. The beard shampoo can help you groom your beard and clean it to remove the dirt. The beard conditioner will moisturize to bring you a softer beard. It means that your beard will be taken carefully. In fact, looking for a good beard conditioner is truly worth investing because they help your beard look more gorgeous and softer. Furthermore, this kit is able to stimulate your beard growth. It will become healthier and thicker. The same as the above one, Polished gentlemen beard shampoo and beard conditioner are made from natural ingredients like Biotin, Argan oil, Manuka honey, eucalyptus, tea tree, and peppermint. These ingredients are very helpful for your facial hair. They provide the moisture and necessary nutrients for your beard. This kit has a unique scent which is eucalyptus smell. Although its smell will not last longer, if you wash down, I feel its scent soft and manly. Its smell is not as passionate as a perfume, but it is fresh and cool. It is a perfect choice for those who have beard. But, it is not suitable for guys who want to have a healthy beard right after one time using. It takes time to work, repair and improve your beard. So, don’t be impatient! 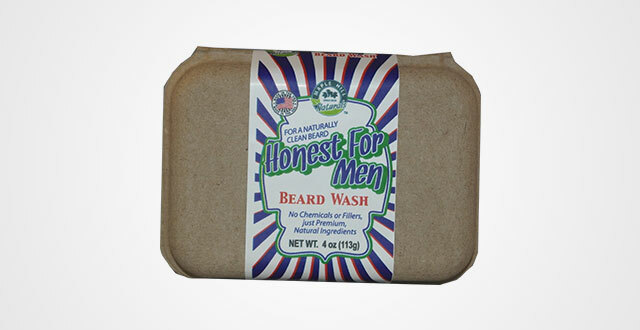 Another best beard shampoo for Men that I highly recommend is the honest beard wash. This is a 5-bar value pack, so you can use longer without buying the new one. This beard wash performs well to make your beard look great, and healthy. Your beard will have an amazing smell. This beard wash consists of natural ingredients such as castor oil, coconut oil, water, olive oil, hemp seed butter, shea butter, sodium hydroxide, lavender essential oil, jojoba oil, and patchouli essential oil. These substances are used to soften as well as condition your beard. Many people think that this beard wash is similar to the professor fuzzworthy’s beard wash, and nothing’s special; however, I experienced both of them, and I saw their differences. Fuzzworthy’s focus more on cleaning, while honest’s contain both soy wax and beeswax which can provide you a nice protection from fungi and redness and moisturize your beard. I’m a big fan of sweet orange and lavender that’s why this beard wash can attract me at the first sight. It is the mixture of lavender and orange smell, with the base of patchouli. This is awesome pack, and I do not find any side effects. The next best beard shampoo for men will not disappoint you. Many people have to take many steps and use various products to take care of their beard such as a shampoo to clean their beard, a beard conditioner to soften it, and a few drops of perfume to make it smell good; however, all these problems can be solved in only one product. 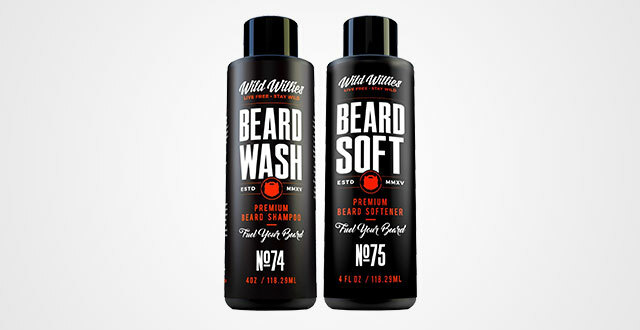 The wild willies’s products come with two bottles, one is beard shampoo and one is beard softener. It means you do not need to pay much money for buying. These products are multifunctional. They can soften your beard and clean it at the same time. Your beard will become softer and smoother. This is a perfect natural way to keep your beard soft and clean. This set contains organic nutrients and oils to take care of your beard deeply. Besides, their ingredients are Eucalyptus and Peppermint which are known as wonderful substances to fight tingle to leave you a perfect beard. 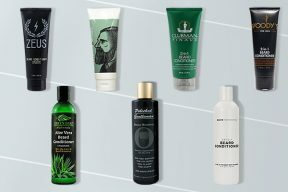 The scent of these beard care products is nice, but do not last long. With the regardless of the smell time, their quality is excellent. They do not dry out your skin and make you feel too heavy or greasy after applying. 5. RUGGED & DAPPER – Shampoo & Body Wash for men – 16 oz – Natural Ingredients Moisturize Hair & Fight Dandruff – All – in – one Head – to – Toe Soap for the Entire Body. If you are looking for a beard shampoo, you should not ignore this. 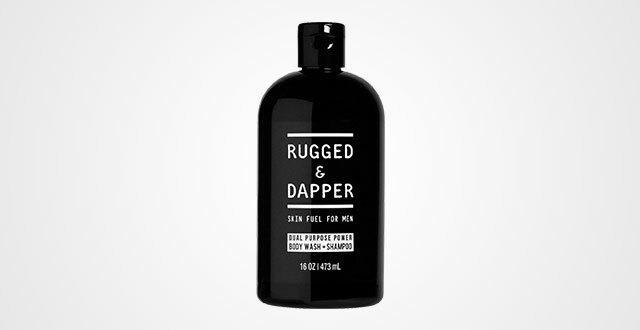 Rugged & dapper is designed for men to take care of their appearance. Its performance is extremely good. 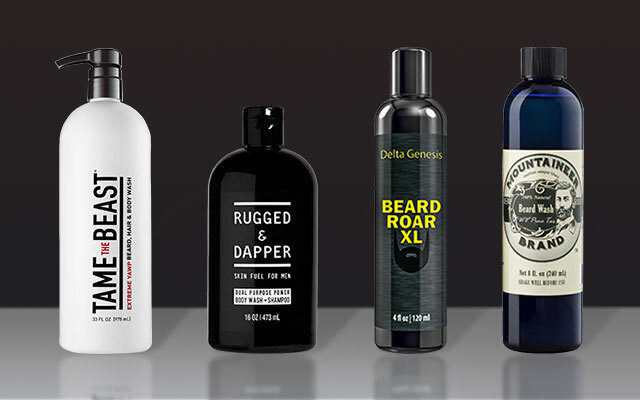 Rugged & Dapper’s is multi-purpose, which can be used for both beard and body. It is suitable for all kinds of skin as well as beard, from sensitive skin to oily skin, from thin beard to thick beard. This shampoo can keep your beard healthy and protect you from odor, and excess oil. Your beard will be no more greasy and messy. It will be cleaned deeply, revived as it was. Moreover, this shampoo contributes to balance the moisture to avoid acne. It will provide essential nutrients to nourish your beard from the root to the tip. Your beard will become shiny and strong gradually. You may feel free to style your beard without the worry about breakage and beard loss. My beard was ever weak and fell off, but now, it is much healthier and shinier. It is rich foaming lather, so I always style my beard to make it look more stylish and neater. Their ingredients are tea tree oil, borage oil, rose hip oil and orange peel tincture. Rose hip oil will be absorbed deeply to soften your beard a skin to create a strong beard, while tea tree oil treats antibacterial and reduces the skin oil. Orange peel is an antioxidant that can bring the shine again and protect your beard from dryness. Specially, borage oil is used to fight the damage of styling to hydrate it. Although this shampoo does its job well, I think its smell is far too strong. I wish it could be a little bit lighter. Mountaineer’s beard wash is a must-have item which has many great features. I love this beard wash much because of its function. Honestly, when choosing a beard shampoo, the first thing we care is cleaning feature. If it cleans well, it is good enough. However, it has overcome the limitations of a normal shampoo to become one of the most favorite products. My skin is sensitive, so I cannot use the miscellaneous products. 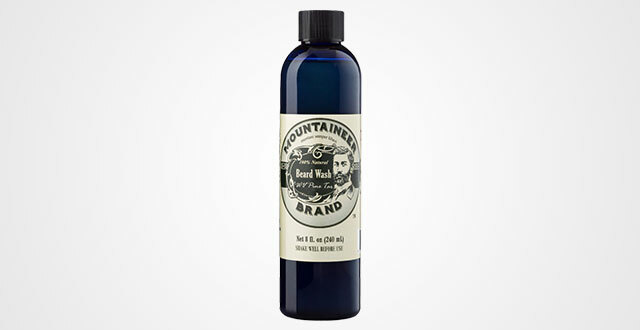 The Mountaineer’s beard wash is perfect for those who has sensitive skin as me. It does not cause any negative effects on my facial skin. My beard is moisturized and hydrated to cure the dry skin underneath. Besides, it helps to remove dead cell, bacteria and beard oil. Your beard will not be greasy, but silky. Its smell is fantastic with all-natural ingredients. One of its noticeable ingredients is pine tar which is used to save dry skin. The smells of lavender and eucalyptus are blended to bring you the comfort. I recommend this beard shampoo to all people who are growing the beard. It helps to stop both the flaking and itching. However, I feel like my beard is more brittle a little bit. I think I should mix it with beard conditioner to remain the moisture. 7. Spartans den premium beard shampoo 8oz / Best beard wash to fight dandruff & itchiness, soften, cleanse, & promote beard growth / classic scent. Beard wash is a very important thing which makes a great contribution to keep your beard soft. If you are searching for a beard wash that can free your beard from itchiness and beard ruff, and soften it, this product can meet your needs. The first thing that it can do with your beard is to clean it. This shampoo is good at removing the dirt that accumulates underneath your beard over time. Apart from cleaning your beard, using this shampoo frequently can thicken your beard as well keep it more manageable. It provides nutrients to improve the overall health of your beard. This beard wash is made from aqua, jojoba oil, SLES, propylene glycol, coconut oil, grape seed oil, argan oil and many other natural ingredients. The aloe Vera contained is indicated as a skin inflammation and allergy fighter. Coconut oil and shea butter are responsible for soothing your skin and soften the beard. 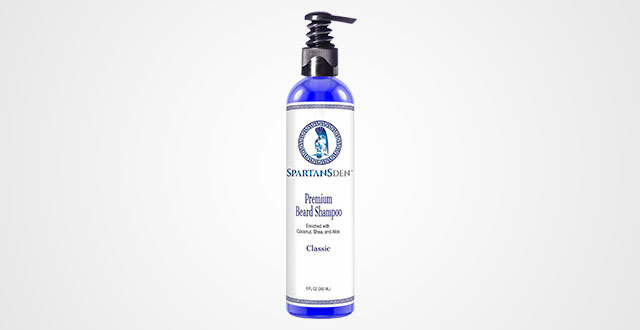 The Spartans Den premium beard shampoo has a unique and alluring scent. It smells awesome and masculine. There is only a very small thing I want to notice you that it is quite watery. You may find difficult to pump on your fingers and apply it into your beard. But, this problem is nothing, compared to its quality and affordable price. 8. 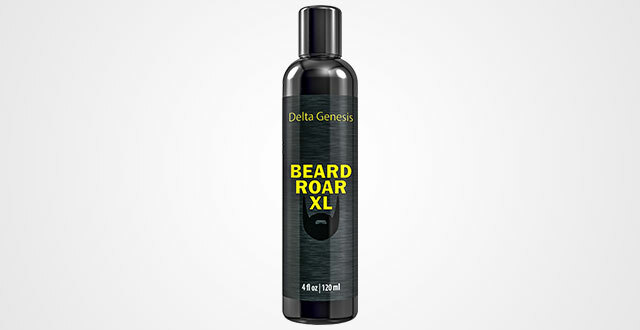 Beard Roar XL / Caffeine shampoo for stimulating faical hair growth / premium beard shampoo soap wash. 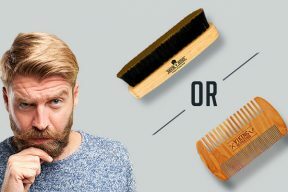 Beard Board XL is known as a reputable brand for beard care on the market. Their product is high quality and meet the requirements of bearded men. Its premium caffeine shampoo for beard growth is not an exception. This shampoo is formulated to moisturize, cleanse and stimulate the beard growth. This beard shampoo can bring you countless benefits. Firstly, it helps your hair follicles to be stimulated. Do you want to grow your beard quickly? You should not ignore the caffeine – infused which is contained in this kind of shampoo. Secondly, this beard wash enables to minimize the beard loss and increase the thickness. Your beard will be fuller and thicker. The last thing is that your hair roots will be strengthened. It can be used for both beards and mustaches to soften and manage them. The caffeine shampoo has a great fresh manly scent. I’m actually pretty impressed with its performance rather than its smell. I used it every day, and I don’t feel itchy. My beard is much softer and neat. Indeed, it helps to maintain my attractive beard. If you are looking for a multifunctional shampoo, you should take a look at this product. Extreme Yawp body wash can be used for different purposes with a great performance. When you intend to buy a beard wash; of course, you will notice the cleansing feature. And this body wash is extremely outstanding at cleansing. It helps to remove the dirt from your beard to leave you a clean beard. Furthermore, it also revitalizes the beard loss and thicken your beard much. It brings you an awakening natural scent. I always prefer natural product, and this is also a natural type. It is best to use this product in the morning because it can keep you awake and clean for the whole day. The ingredients of this shampoo are Eucalyptus, caffeine, Vitamins C, Grapefruit, Sasquatch testosterone, Vitamins A, Menthol, Moringa, Vitamins E, and citrus. Vitamin A, C & E are very necessary to soften your skin. The skin underneath will be taken care deeply to make it brighter and softer. Green tea is used against acne as well as dermatitis. It has green tea and other antibacterial ingredients, so it doesn’t cause acne. 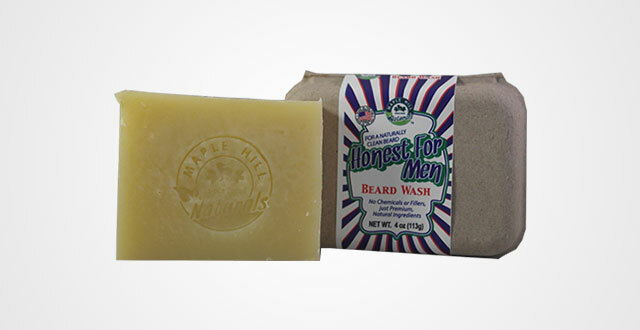 The last beard shampoo is Maple Hill naturals: honest for men original scent beard wash and conditioner. Many people have a tendency to be itchy because of the chemicals contained in beard wash. Although these chemicals can work effectively right after using, it will cause itchy and redness. To avoid these things, Maple hill beard wash take the use of all-natural ingredients which are orange essential oil, water, palm oil, olive oil, shea butter, coconut oil, hemp seed butter, avocado oil, jojoba oil and castor oil. These ingredients will promote the natural shine of your beard. The blend between oils and butters will bring you a soft skin without flaking or itching. Furthermore, they will nourish your beard follicles without any damages. Your skin and beard will be retained healthily. This beard wash is played as both beard wash and beard conditioner. 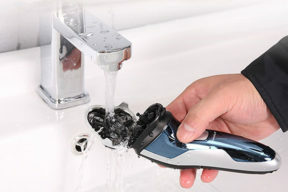 It enables to keep your beard clean and moisturize as well. Your beard will smell good. Overall, regarding the effectiveness of these products, they are the best beard wash for Men. They are made from natural ingredients and the scent is comfortable. Their performance is also amazing too. Hope you enjoy them!